FirstEnergy Davis-Besse Nuclear Power Station in Oak Harbor, Ohio. Losing millions of dollars a year at its power plants, Ohio-based FirstEnergy has asked the Trump administration for help. Though it may have the president’s ear, it’s unclear how much President Trump can do to help the company’s struggling coal and nuclear plants. FirstEnergy, which filed for bankruptcy last month, and plans to close three nuclear plants in Pennsylvania and Ohio, wants Energy Secretary Rick Perry to declare a “202(c)” grid emergency, and make customers in Pennsylvania and surrounding states pay more for electricity from nuclear and coal. Otherwise, it says more plants will close. The night before, Trump had reportedly attended a fundraiser with a FirstEnergy lobbyist, Jeff Miller, though the company would not confirm that. What is a 202? It’s a provision of federal law designed to keep the grid functioning during extreme events that could cause power outages, said Ari Peskoe, an electricity law professor at Harvard. “It was specifically written by Congress in 1935 to ensure that electricity supply did not have the sort of problems that arose during World War One,” Peskoe said. The Department of Energy has used the law only eight times since 2000. It’s been used to keep plants running after Hurricanes Katrina and Ike, and when a lightning strike knocked out a power plant last year. What’s the emergency this time? Peskoe says that’s the problem. What’s more, it’s requesting economic relief for its power plants over a period of four years. “I think that they’re really, really stretching it,” said Sam Walsh, a former deputy general counsel for energy policy at the Department of Energy during the Obama administration. “That is a very, very broad action that they’re asking D.O.E. to take,” he said. FirstEnergy has argued that without a 202(c), PJM Interconnection, the power grid that covers the mid-Atlantic, could face blackouts during times of peak demand, as coal and nuclear plants continue to close. The company said its coal and nuclear units have had a dismal time making money during a period when cheap natural gas is driving down the rates that power producers can charge customers. FirstEnergy’s Bruce Mansfield plant, in Shippingport, Pa., lost $90 million in 2017 alone, and is projected to lose $104 million this year, according to the company’s bankruptcy documents. PJM’s CEO Andy Ott says he is worried long-term about plant closures. But, Ott says, because of new natural gas plants, there’s no immediate danger of power outages. “We have an oversupply situation. We have more power generation capability than we need. In fact, 10 percent more,” Ott said. Many call the 202(c) emergency request a long shot. Environmental groups, oil and gas companies, and rival utilities all oppose it. The plan would likely face a legal battle if Perry were to approve it. But the idea of subsidizing coal and nuclear plants keeps coming up. Last year another company, Murray Energy, asked Perry to invoke the 202(c) provision. The company is FirstEnergy’s biggest coal supplier, and its owner, Bob Murray, is a big Trump backer. Perry declined the request. But last year, he came up with his own subsidy plan, which federal regulators shot down. Perry clearly wants to help coal and nuclear plants, but this week he hinted at an energy conference that the emergency measure was a long shot. But what other mechanism could Perry use to bail out coal and nuclear plants? He didn’t say. 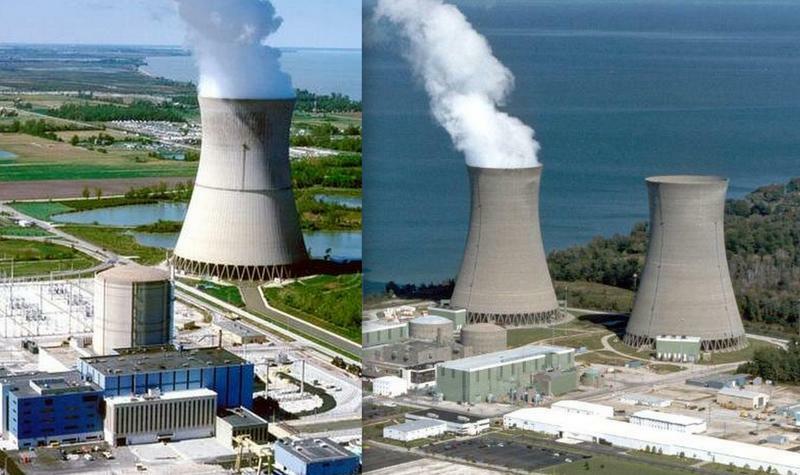 First Energy Solutions says it’s going to shut down its nuclear power plants, and that means decommissioning them. Decommissioning is a lengthy, complex process with public-safety ramifications that by law must be done under the oversight of the Nuclear Regulatory Commission. Consumer, business, and environmental groups are rallying to oppose FirstEnergy’s request for a federal bailout now that the company’s subsidiary FirstEnergy Solutions has filed for bankruptcy. This could be the major utility company’s last shot at keeping its nuclear and coal plants open. 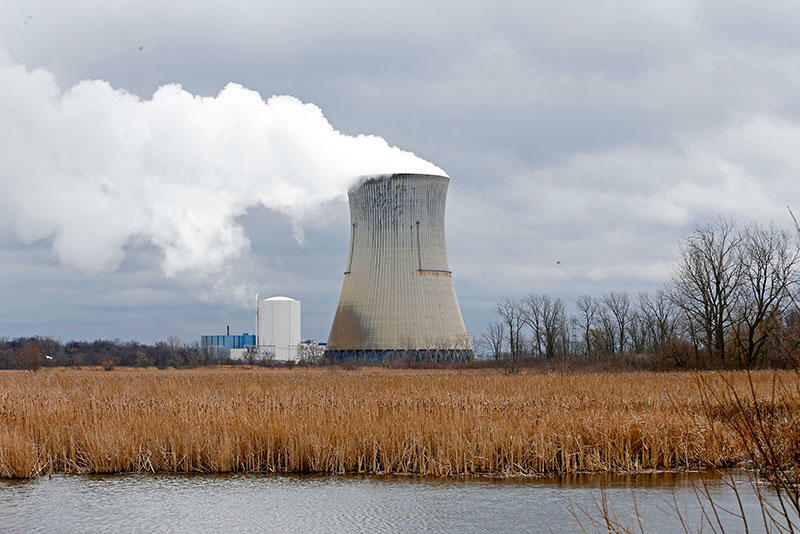 FirstEnergy, one of Ohio’s largest utilities, is moving forward with a plan to shut down its coal and nuclear power plants after filing for bankruptcy. 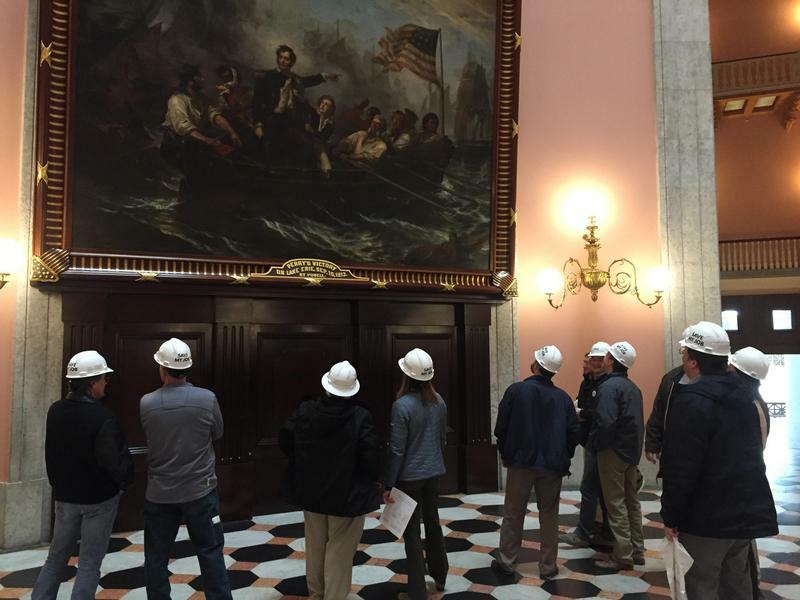 But FirstEnergy's workers aren't taking the move lying down.